Get a make-up base with professional results. 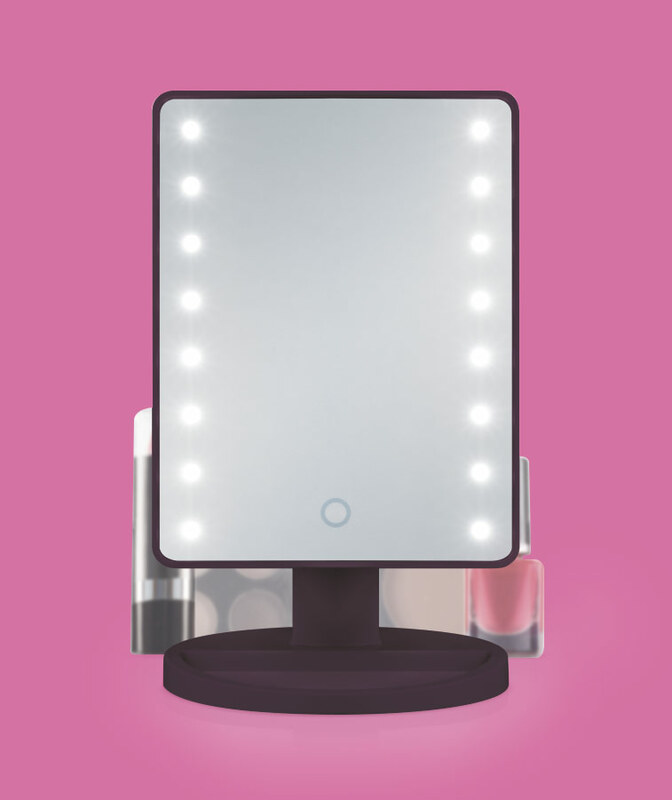 Its low-frequency vibrating microwaves melt the make-up on your skin evenly. It covers imperfections and makes your skin soft. Get the perfect look with this complete beauty chest. Contains 26 pieces including a wide variety of eye shadows, nail varnishes, lipsticks, blushers, brushes, an eyebrow comb, and even a small, compact-style mirrored case to put your favourite colours in. The aluminium carrying case protects its contents and means you can take it with you wherever you like. Complete set of 24 makeup brushes for beauty centre results. Wooden pieces with high-quality synthetic hair bristles. 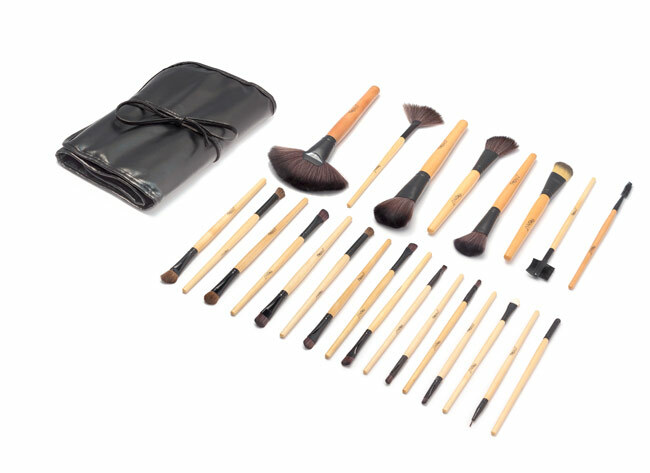 Includes eyebrow comb, eyelid smudge brush, eye and lip brushes, foundation and blusher brushes, and an elegant storage case. 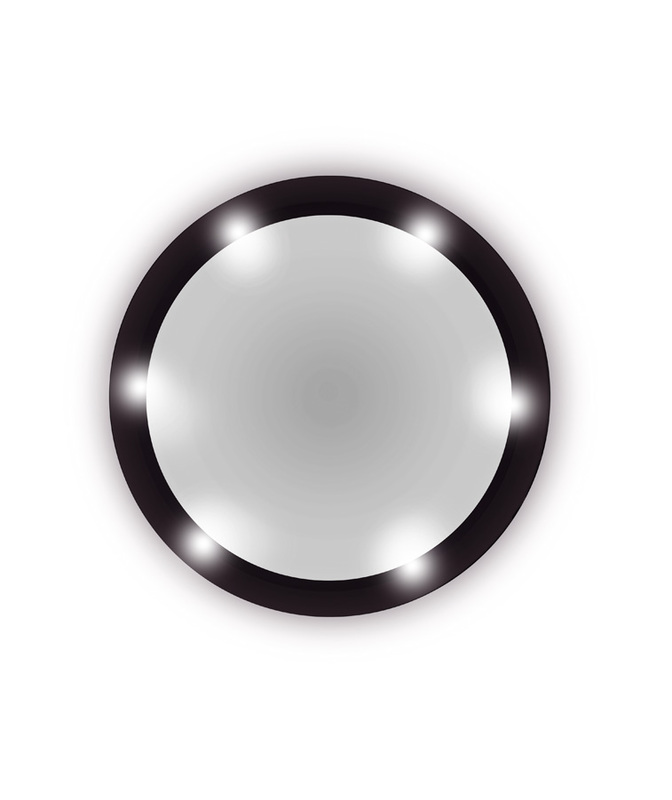 Get the perfect lighting to achieve the ideal look, thanks to the Pretty U™ portable mirror with LED lights. It features 16 LEDs and a switch with touch sensor. Additionally, you can adjust the rotation to more than 180º. Its detachable base features a hole for your beauty accessories. Works with 4 AA batteries. Get the perfect look with Zoom Mirror. Thanks to its powerful magnification and its LED lights, you’ll be able to put your make-up on or shave, and look splendid. It features a suction pad and a magnetized base to position it. Works with 2 AAA batteries.